With the weather warming up it is the perfect time to get out and enjoy time with the family! Some of us are limited to how much activity we can do because we have little ones. That's why this giveaway is perfect! We are giving away the InStep Quick N EZ Double Bicycle Trailer, One helmet for Mommy, and your choice of helmet for a little boy or little girl. How perfect is that?! And this trailer seats two! 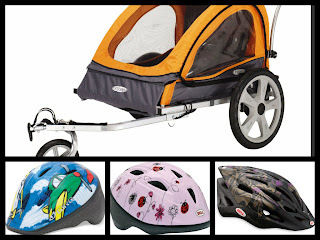 Even if you only have one little one, you can use the extra space for toys, groceries (since it can be used as a stroller too), picnic accessories, and anything else you can't carry on your bicycles. Read below for more specs from their website. 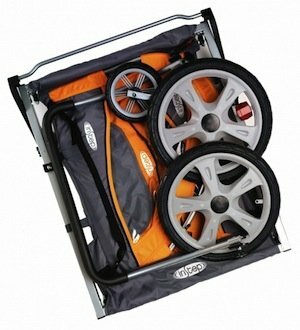 16-inch pneumatic tires with molded rims provide performance and style in spades, and the two-in-one canopy has a bug screen and weather shield to keep your precious cargo protected. 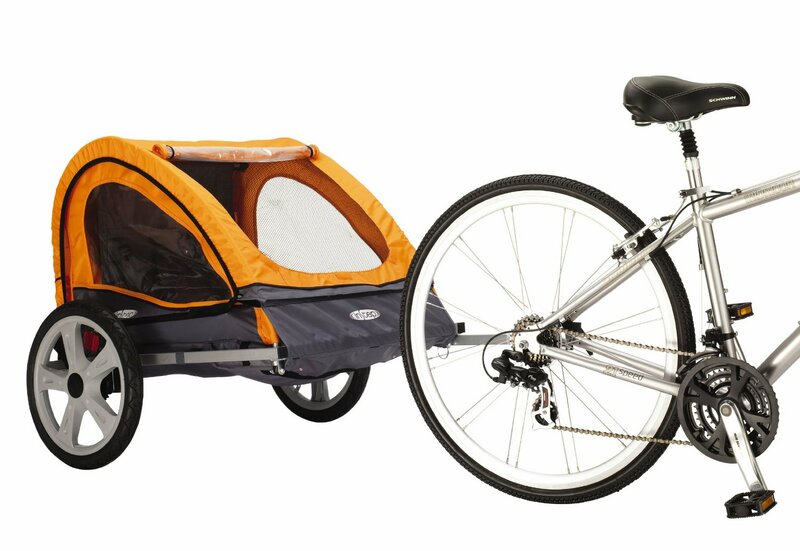 A versatile coupler attaches to almost any bicycle, and the included stroller kit with swiveling front wheel and handle bar means this versatile device instantly transforms into a double stroller in seconds. The 33-pound trailer has a 80-pound weight limit. The entire trailer packs down to a remarkably compact size, allowing for easy transport. 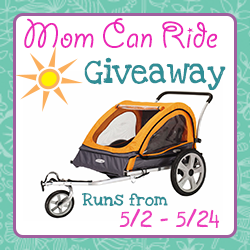 All you need to do is enter the Rafflecopter below to enter for your chance to win! The second entry you can come back and do daily so make sure you bookmark this page! Make sure you read the terms and conditions inside the Rafflecopter. Good Luck! Nanny to Mommy is not responsible for the shipment of this prize. a girl helmet. thanks for the chance! A little boy for me! Little girl's helmet! Thanks for the chance to win!